I was on a blog that mentioned a blogfest hosted by author Christine Fonseca. 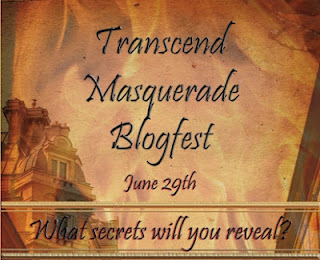 On Friday, Christine revealed the cover of her upcoming book, Transcend. I was supposed to write a post revealing something 'secret' about myself. Want to know a secret? Somewhere in the last few weeks, I've become unfocused. I can't seem to accomplish much of anything. I'm running around crazy trying to get things done-caught up-yet I can't keep focused on my tasks. I'm usually great with my to do lists. These past few weeks though, I haven' been. I'm not sure what it is. I have been struggling to get to sleep at night, so that's probably part of the problem. I'm getting better, but it's still not quite there. Hopefully this week I'll get it together though. Anyway, Christine Fonseca revealed her awesome cover last Friday. Go HERE to check it out. And follow her blog and check her out elsewhere as well. 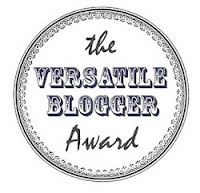 Another thing I haven't gotten to is a couple blog awards. Happy Monday to you too. I think it's something in the atmosphere, because I've been scattered lately too an can fall asleep easily. Happy Monday to you, loved the post. Awesome book cover for Ali! Same for Christine, hehe. Maybe you're just taking up way too much work on way too little sleep? x3 Awesome post Kela. Gasp! Yesss we want the details! Thank you SOOOOO much K, I can't say it enough; you are absolutely amazing :) You totally deserve both of these awards as well. Yvonne- Thank you :) I hope you had an awesome Monday!